What's Solution to iPhone Keeps Restarting Issue? Truthfully as Aron said, that iPhone keeps restarting randomly will bring a series of troubles in a sudden moment. However, you may suffer from it for a number of possible reasons, such as iOS upgrade, hardware problems, faulty apps, etc. Whatever the case is, following tips can be advisable for you. As usual, hard restarting iPhone can take away some bugs with ease. It's also a simple way to break iPhone ongoing power cycle. 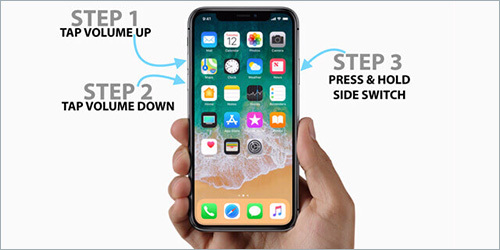 Now get down to pressing and holding both "Home" and "Sleep" buttons for 10 seconds; release them until the Apple logo appears. Likewise, you can press the "Home" and "Volume Down" buttons at the same time on iPhone 7. Sometimes, possibility is that the iPhone keeps restarting itself issue may be related to the downloaded apps, which come with bugs and lead to app confrontation. Under this circumstance, what you ought to do is find the harmful apps and remove them from your iPhone. 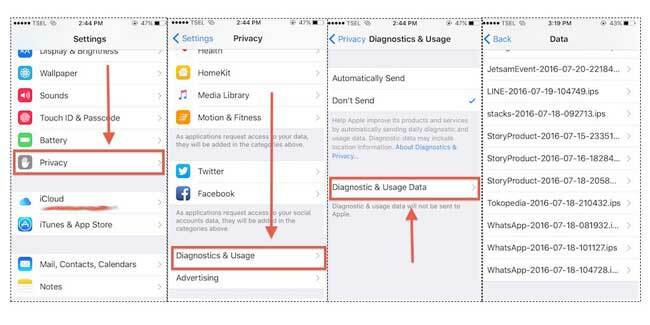 Go for "Settings" > "Privacy" > "Diagnostic & Usage" > "Diagnostic & Usage Data" to see a report and check the list. As is often the case, factory reset iPhone can work to solve various iOS issues. You can do it as well to get out of iPhone restarting trouble. 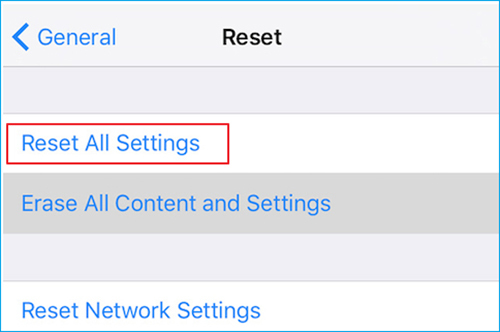 To do this, you are supposed to go to "Settings" > "General" > "Reset" > "Reset All Settings" to reset all iPhone settings to factory default. Restore your iPhone can be considered as one solution too. It is totally easy to carry out. However, what you should keep in mind is that all data and content saved on iPhone will be erased. Therefore, back up iPhone data in advance, restore iPhone, and then recover data with Joyoshare iPhone Data Recovery. 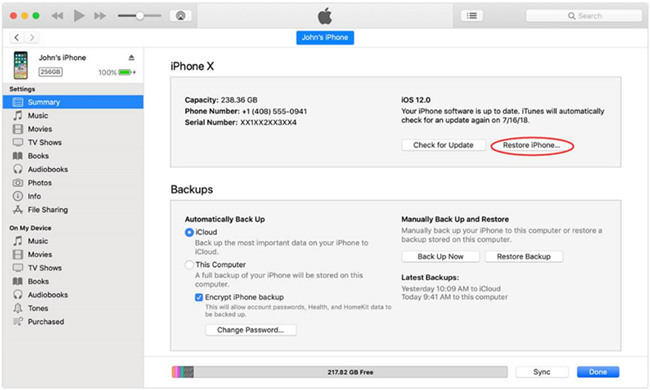 You should: 1) run iTunes and connect iPhone; 2) go to "Summary" > "Restore iPhone". Additionally, iPhone keeps restarting issue can be resulted from the software rather than hardware. 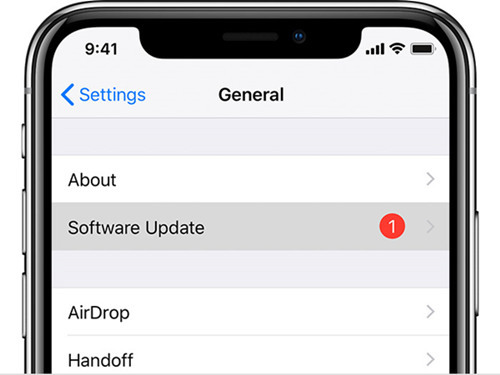 If so, you are supposed to go forward to "Settings" > "General" > "Software Update" to update to the newest iOS version, which can help you fix some glitches.